TGIF everyone! Hope you have some fun plans for the weekend! 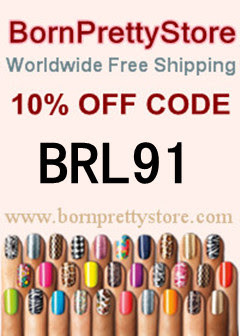 Today I have a great polish to share! I decided to end the week with this gorgeous new holographic polish from the most recent A-England Collection, The Legends. This polish is called Princess Tears. I really love that name for some reason. Unfortunately I didn't have a sunny day when I swatched this polish, but I think the flash pictures actually did a really good job of showing how strong the holographic effect in this polish really is! I love it! Do you own any A-England polishes? What are some of your favorite holographic polishes? Gorgeous. This was one of the ones in the collection I definitely wanted to wait for blogger swatches of, because I didn't have a good sense of how it looks. I got St George, I have a feeling some others will creep into my collection before long! I just got my first A England polish in a swap. Can't wait to try it out. This is gorgeous! This is so pretty! I wish I would've ordered it. I only care for scattered holos, so the A Englands are my favorites. I also like Nubar Reclaim and DS Signature. OMG, I picked it up and it's sitting on my shelf, I didn't realize that it was that gorgeous!!! I will have to try it out SOON!! 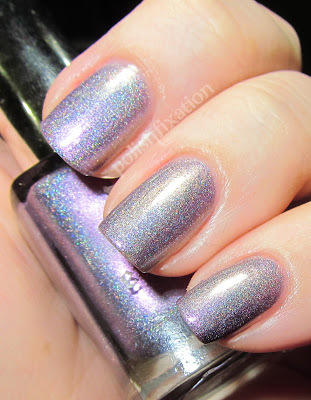 I love the holo effect in this one much more than Saint George.. it gorgeous!